is a native to Mentor, Ohio and graduated from Mentor High School in 2000. After high school, he attended Case Western Reserve University where he played varsity soccer and graduated with degrees in Chemistry, Sociology and Spanish in 2004. 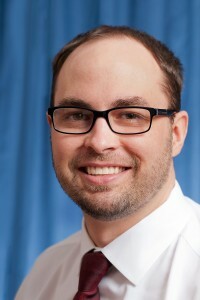 He then attended the Case Western School of Dental Medicine and graduated in 2008. During his 4th year of dental school he took over 150 continuing education hours learning to place and restore implants and is now a fellow of the International Congress of Oral Implantologists. Immediately following dental school he began working as an associate at Ashtabula Dental Associates and has not looked back since. He and Dr. Coliadis purchased the practice from Dr. Sockman and Dr. Seymour in July 2014 and now continue the service that Ashtabula Dental Associates has provided to northeast Ohio for over 50 years. Dr. Sivik met his wife, Sarah, in High School and they married in 2012. Sarah is a stay at home mother with their three sons, Cole, Landon, and Beckham. Recreationally, he enjoys spending time with his family, traveling, soccer and any outdoor activity.